Seattle currently has a Mandarin immersion program that begins at Beacon Hill International School and Dearborn Park International School, then feeds to Mercer International Middle School. 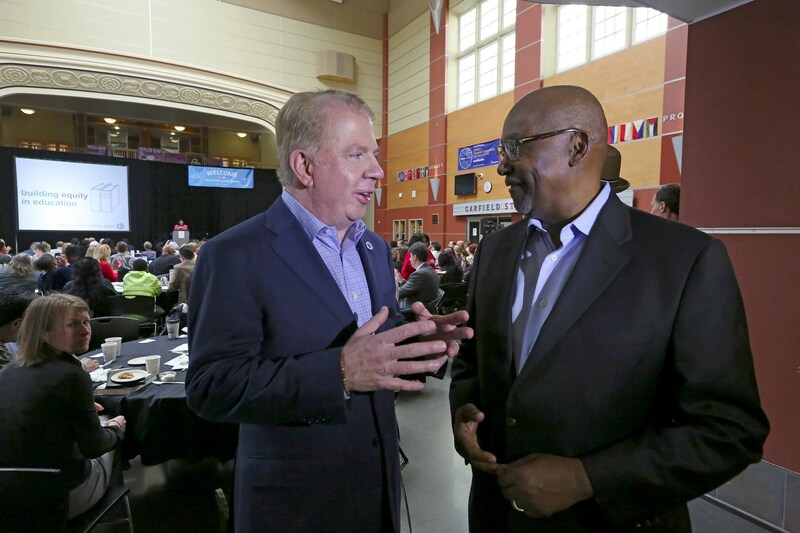 An advisory group formed by Seattle Mayor Ed Murray has released a list of 18 recommendations for how the city, school district and other organizations can work together to improve the academic achievement of students of color and those from low-income families. Among the recommendations: Expand and enhance before- and after-school and summer programs, increase diversity in the educator workforce, address the needs of homeless students, and add more international schools and dual-language immersion programs.